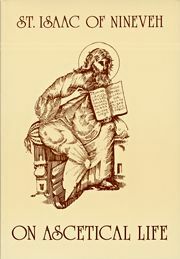 St. Isaac of Nineveh’s monastic anthropology has had a major influence on all of Byzantine spiritual literature. The way towards God, in his writing, was threefold: the way of the body, soul, and spirit. This translation, by Mary Hansbury, is based on the Syriac text edited by P. Bedjan in Mar Isaacus Ninivita, De Perfectione Religiosa. Softbound. 116 pp.